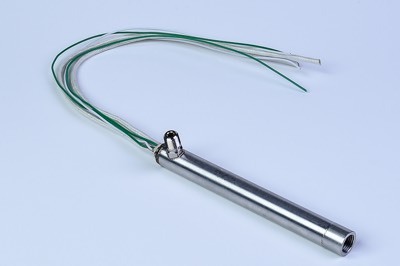 A very compact, fast responding electric heating element for liquids and gases for all clean, bio-med, laboratory, food, and pharmaceutical applications. 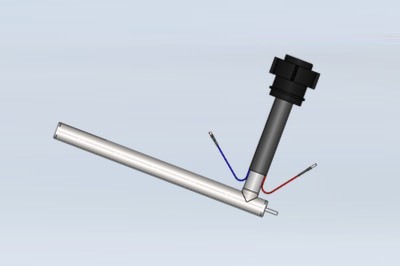 This heater assembly is used in the electron ionization in gas chromatography and mass spectrometry to ionize and fragment analyte molecules before mass spectrometric analysis and detection. A typical electron ionization source exposes the analyte, under vacuum to a stream of thermionic electrons produced from a resistively heated-gas weldment assembly. Gas heated up to 450°C. 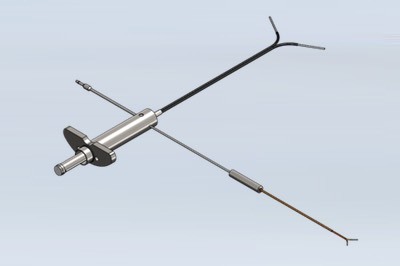 Built-in thermocouple for precise temperature control is incorporated in the gas body assembly. CeraWatt ceramic heating elements are composed of high temperature materials such as tungsten and alumina ceramic substrates. The metal heating resistance element is thick film technology. 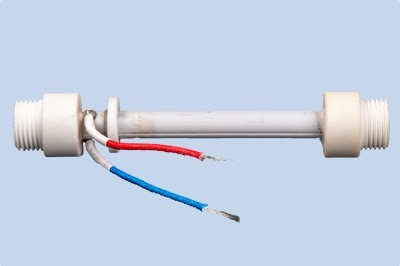 CeraWatt heaters provide excellent corrosion resistance, high operating temperature, long life, energy efficiency, uniform surface temperatures, and outstanding thermal conductivity.